Take a seat at the iH Hotels Gusto Restaurant, on the hotel ground floor: a spacious and luminous hall where you can experience the pleasure of Italian and International dishes. IH Gusto Restaurant proposes delicious dishes every day, always prepared with love for food and attention to the quality of their ingredients. Our menus follow the natural rhythm of the seasons, to make you try and appreciate the true taste of our recipes, in each and every dish. 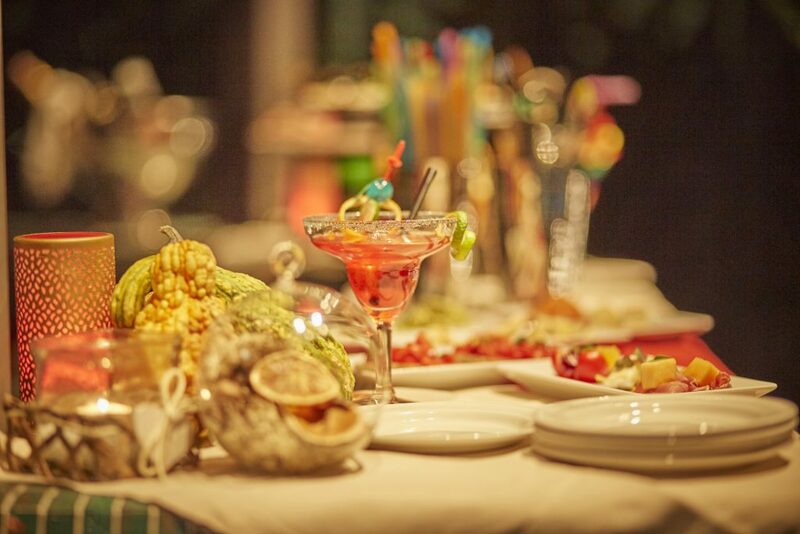 Have a rich and colourful cocktail or an after-dinner drink: our Lounge Bar is open every day from 5pm to midnight. Essential lines and sophisticated atmosphere: the Lounge Bar at iH Hotels Milano Lorenteggio is welcoming and elegant, the ideal place to enjoy relaxing moments, seeping a drink or a cocktail, tasting delicious aperitifs at the end of a long day of work or after a tour in Milan shopping district. The best wake up ever: a rich and yummy buffet breakfast made with fresh ingredients and home-made dishes. 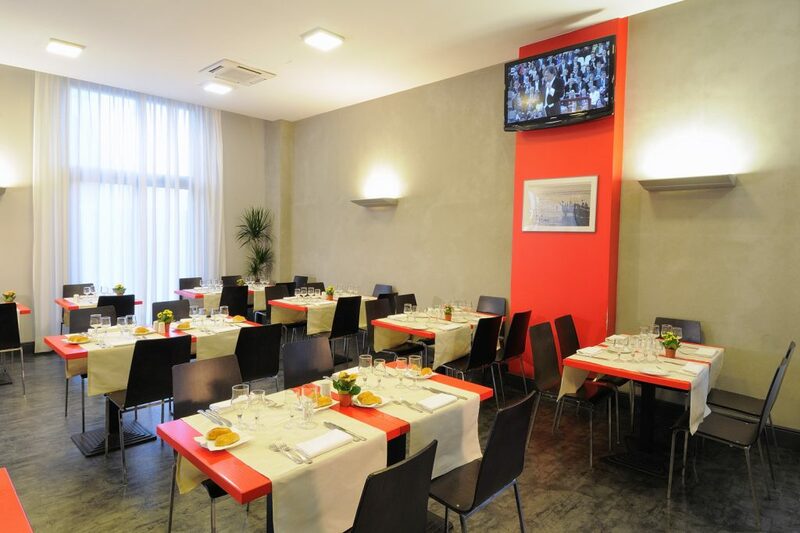 This is the true top strength of iH Hotels Milano Lorenteggio. Delicious pies and cakes, baked every morning, croissants of all kinds, jams and creams, fresh seasonal fruit, yoghurt, juices, an amazing selection of teas, tasty biscuits and cookies, cereals of all kinds (also for vegans and people with allergies), cold and hot drinks, cold cuts, eggs and much more to give you a boost of energy to start your day in the best way. 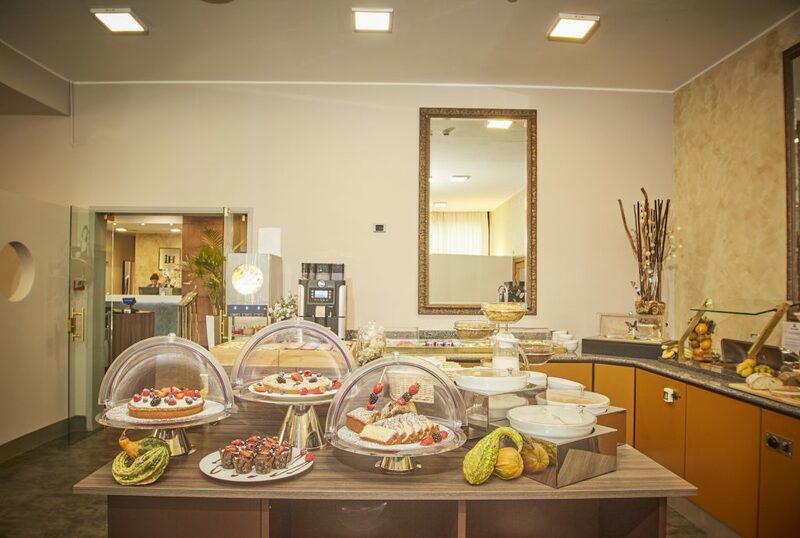 At iH Hotels Lorenteggio breakfast is always included and guests can also request room service (for an additional fee). The morning buffet is open from 6.00 to 10.30 am.